D4G 'Doodle 4 Google competition 2018' students can get 5 million scholarships: this year's theme for doodles "What motivates you" The winner will win a college scholarship of 5 lakh rupees with the opportunity to share his inspiration through his artwork. 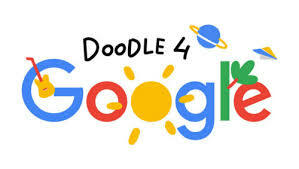 'Doodle 4 Google' You can get 5 million scholarships: Google has announced the 2018 Doodle 4 Google competition. The subject of competition for the 2018 motivates you. Students from class 1 to 10 can participate in this competition. Google will accept entries by October 6, 2018, 10. The competition is to bring the creativity of the students. The winners will be awarded a scholarship of rupees. The aim of the 5 million doodle competition is to motivate students to challenge their creativity. Winnders' doodles will be displayed on Google's home page on November 14, children's day. The steps about how to apply for Doodle 4 Google 2018 are given below. Students need to be creative in designing Google's logo by using graphics, soil, water color, or graphic design on the subject - which inspire you. The massive search engine operation said in a statement that artwork will be displayed as Google's logo and the winner will win the buck. 5 million college scholarships Students will get the opportunity to incorporate their inspiration with creativity. In class 1-10, students are invited to participate in the 2018 Doodle 4 Google contest, and create a rising doodle that tells the world "What motivates me?" From crayons to clay, graphic design, young artists can use any material to bring their composition into life. Like all Google doodles, letters in each doodle must include G-o-o-g-l-e. A national winner will get 500,000 college scholarships, a $ 200,000 package for their school, and the winning doodle will be shown on www.google.co.in on November 14, 2018. This competition is open for entries from August 13 to October 6. , 2018 - Only 8 short weeks! Stage 1. Students need to first download the admission form and read the rules carefully with it. Step 2. The next step will fill the form with the necessary information. Step 3. Students can design the logo directly on the entry form or print out the logo, and then can constructively design it. Step 4. Participants are then required to provide details of doodle Thai designed at the entrance. Step 5. The final and important step will upload a doodle by adding a high resolution photo of the doodle or uploading the entry form, in which the doodle is designed. The original doodle team leader Ryan Germick will decide the competition with some other panelists. The last round of competition will be on public voting. 20 best doodles will be selected by internal justice and jury votes, which will proceed to public voting for the final selection of the winner. The date of voting will begin from October 23 to November 5, 2018. Doodle will be evaluated on three standards - artistic skill, creativity and theme communication. National champion, group winner and national finalists will be awarded and prizes will be distributed accordingly. What is the "Doodle 4 Google" contest? Doodle 4 is an annual competition for Google Classes 1 to 10 students. Students are invited to create their own Google doodle for the opportunity to appear on www.google.co.in as well as the opportunity to win some great scholarships and technical packages. For schools as a reward. Why is Google doing this competition? Doodles are meant to surprise and delight people when they visit Google.com. The past doodles have celebrated some of the most spectacular, talented and passionate people throughout history. Doodle 4 gives students of Google Classroom an opportunity to display their artwork at www.google.co.in. Win a series of exciting awards!